Lions are ordinary people who do extraordinary things to help others and support good causes. We help local communities, charities and needy individuals in many ways, and also contribute to international humanitarian good causes through the Lions Club International Foundation. We regularly raise over £20,000 annually thanks to the generosity of local residents and businesses, and in the year to 30 June 2018 made charitable donations and pledges totalling some £21,000. We are always looking at new ways to raise money, as well as continuing with our regular events, and to increase awareness of the club. There have been some promising initiatives recently in both of these areas which I hope to see developed further during my year as President. I particular hope to become more involved with young people, senior citizens, and environmental issues. Please look out for us locally in our distinctive yellow tops. 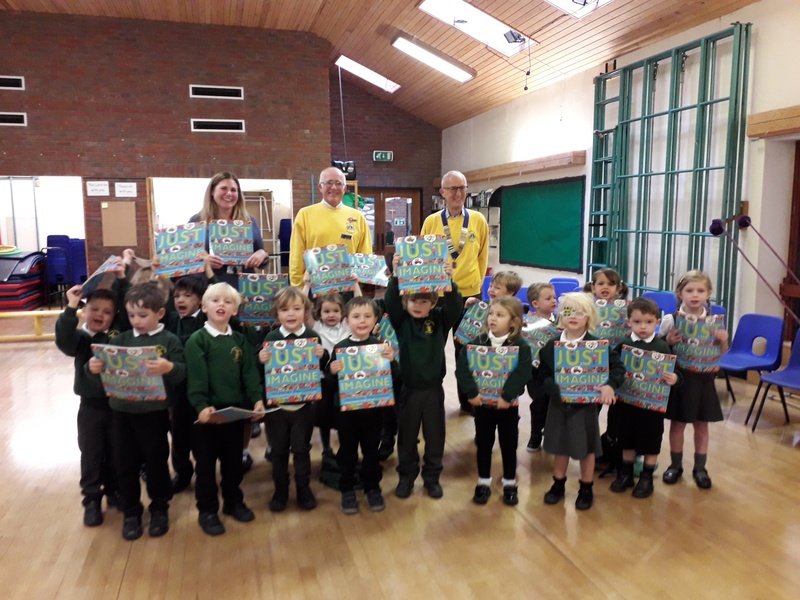 The club donated books to all primary school reception class pupils to commemorate the Lions centenary in 2017, and we plan to do so again in the coming year. The photo shows books being given out at St Margaret's School, Rottingdean.